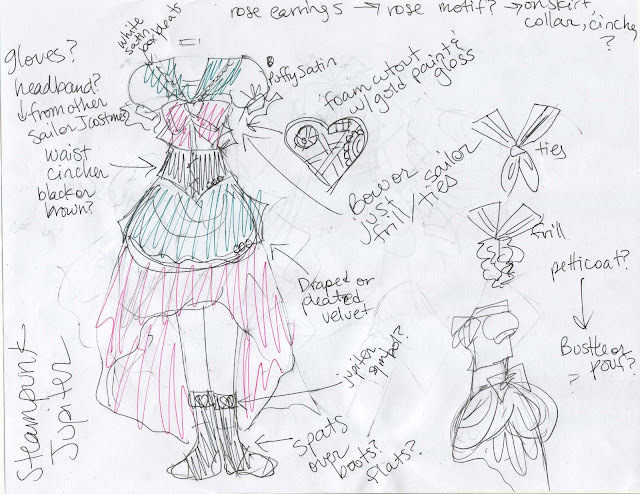 This is my initial sketch for my Steampunk Sailor Jupiter costume. However, since I am ONLY using fabric from my stash, I may have to get a little bit flexible. So far I've worked on...the undershirt. And I plan on wearing this on Saturday. LOL.